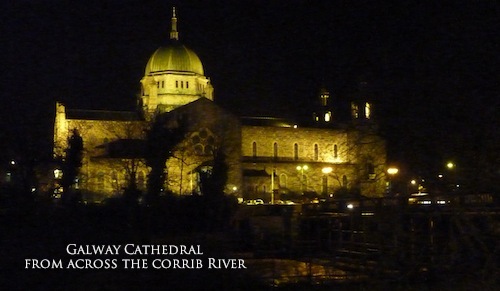 GALWAY NOVENA, FEBRUARY 4-12, 2013 Some Photos. The theme of this year’s novena was The Gospel Virtues for Today. ’What can bring us happiness?’ is a question we all have, and a question that wasaddressed over the nine days. The SACRAMENT OF THE SICK was celebrated at the 11am Novena Mass on Saturday, February 9th. BABIES AND SMALL CHILDREN were blessed after all Masses on Sunday, Feb. 10th. 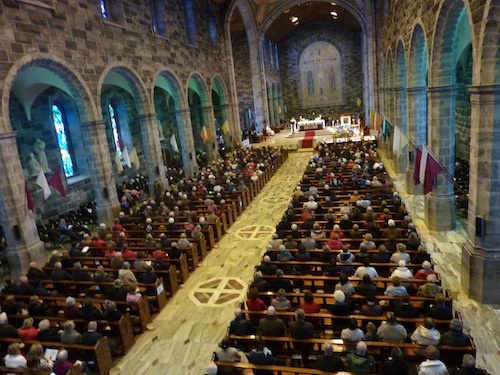 Every year in February, Redemptorists, in partnership with the clergy and people of the Diocese of Galway, help organize and preach the Galway Solemn Novena in the city’s Cathedral Parish. 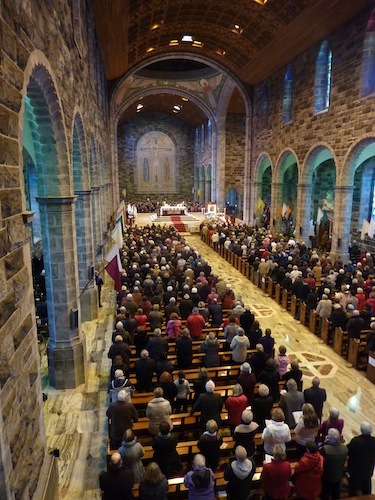 It is without doubt the largest faith-event in the city and in the west of Ireland. This year, 2013, it is being held from the 4th of February to the 12th, inclusive – ending on the day before Ash Wednesday this year. The story of how the Novena came to Ireland is fascinating. In 1866 Pope Pius IX commissioned the Redemptorists to make Mary known under the title of Our Lady of Perpetual Help. In 1916 the American Redemptorists celebrated the fiftieth anniversary of that event by establishing a perpetual novena, that is a weekly celebration of the novena. Eventually a young Redemptorist by the name of Matthew Meighan CSsR became the novena director. Then in 1942 the attack on Pearl Harbour happened and the USA entered World War II. Matthew Meighan joined the US marines as a chaplain and quickly found himself posted to Northern Ireland in 1943. When visiting Clonard Monastery in Belfast he urged the Redemptorists to establish a perpetual novena and on Thursday, 09thDecember 1943 the novena began. It flourished in Belfast and quickly spread to other Redemptorist centres, especially Mount Saint Alphonsus in Limerick. 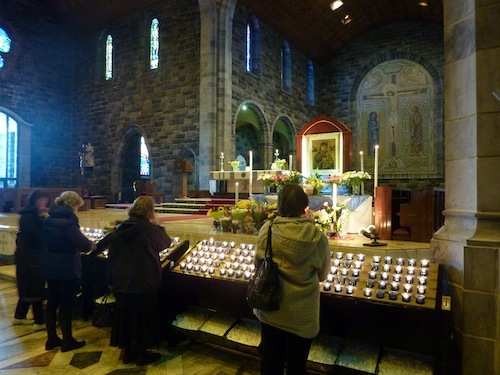 In the late 1970s a team of Redemptorists based in Mount Saint Alphonsus, led by Vincent Kavanagh CSsR developed the novena even further, giving it the particular festive atmosphere and popularity it enjoys today. ← SOUL FOOD FOR THE HUNGRY ADULT; Feb. 10, 2013, Fifth Sunday In Ordinary Time. 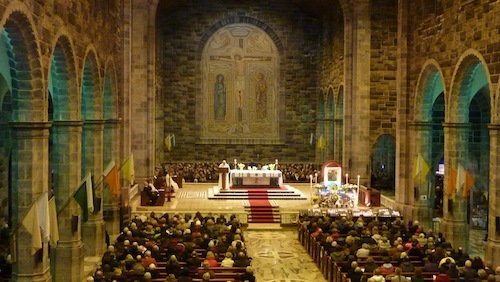 One Response to GALWAY NOVENA, FEBRUARY 4-12, 2013 Some Photos.